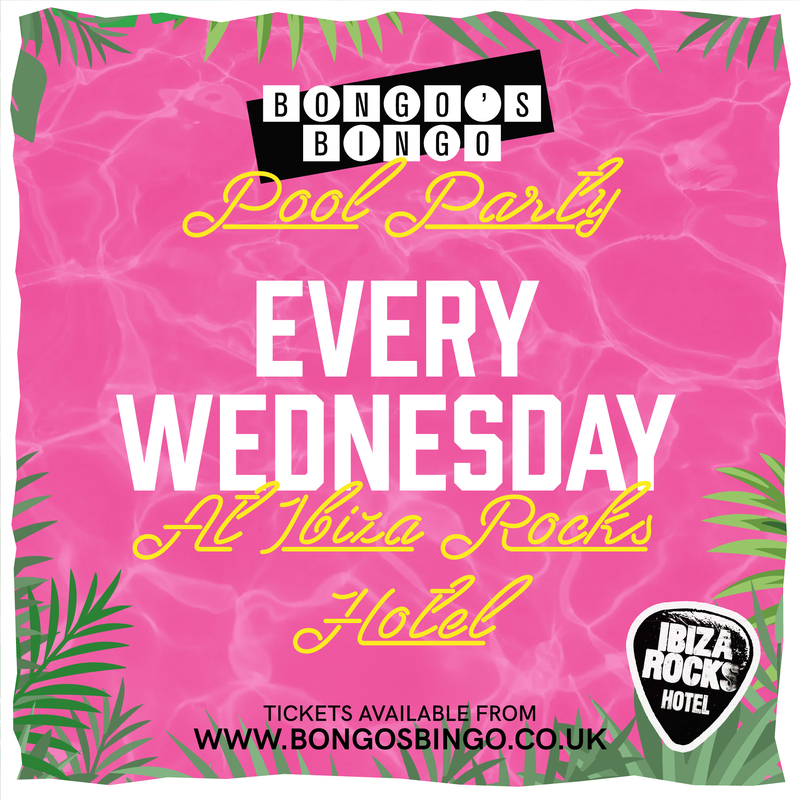 Bongos Bingo - BONGO'S BINGO IBIZA POOL PARTIES 2019! BONGO'S BINGO IBIZA POOL PARTIES 2019! For our third season on the White Isle, we are heading to ‘the home of the pool party’ Ibiza Rocks Hotel!! We will be throwing the biggest and craziest pool parties on the island every WEDNESDAY afternoon with shows running weekly from May 29th-September 25th. Choose your date from the calendar on the right to buy your tickets!